Participation is at a minimum! When I started playing which wasn't that long ago, the posse I joined was clocking about 115k, right before CPW brought online the gem/gold gig. We clocked about 525k, a nice slow progression of upward mobility and everyone participated. Now with the new scenario of gem/gold -participation is at a min, we are barely making 300k. Do you catch my drift CPW? As others are saying, too many cards (your duping cards -doctor/miner/cattle), too much devaluation. Make this dang nabbit game fun again. This weeks cards at 13.99$ Canadian are for a legendary Merc. 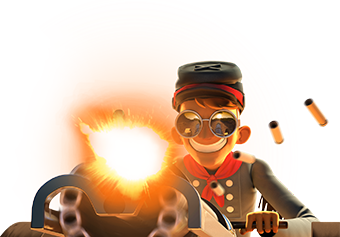 That's why they did this gr event again so the lower players who can't send trains with their current troops will spend cause they know they need mercs and wranglers to fill up that train. I get its all about making money. It's a business. But they don't need to be such a**es about the way they generate the cash flow. Or lie about alternating events. They have pissed off quite a few that's for sure. @Cosmo you don't need all mercs and wranglers to score points in the gold rush. I made this offer in another thread and I'll make it again here. Post what level you are on and how many battle points you have, and maybe we can come up with a troop combo that works. Let's see if it happens this time.. Depending on what your camps look like. I have found that having 4 notorious rangers out and finding a way to protect them, seems to be adequate firepower to reach six figures in points. Flag placement is key when you are not bum rushing the base with mercs and wranglers. You also have to use flags to keep everyone together, especially when using troops with different speeds.